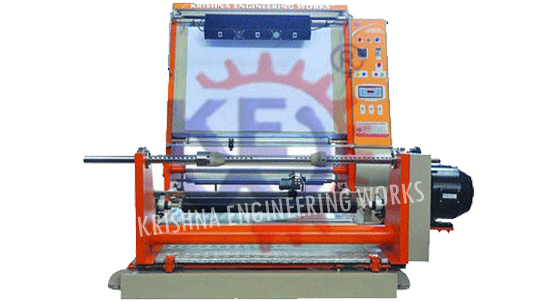 We have been manufacturing and exporting Inspection Rewinding Machine from last 25 years. Our Inspection Rewinding Machine used majorly for checking of bad printed materials on Rotogravure Printing, Flexo Printing Machine, Batch Printing on Doctoring Rewinding Machine, etc. Inspection Rewinding Machine with advance feature like, adjustable slitting assembly and many more per client’s requirement. Our Inspection Rewinding Machine, specially designed to meet the standards that effectively meet the clients requirements for Inspection and slitting Machine. All our Inspection Rewinding Machine is used highly for checking and for inspection of bad printed materials on Rotogravure Printing, Flexo Printing Machine, Batch Printing.